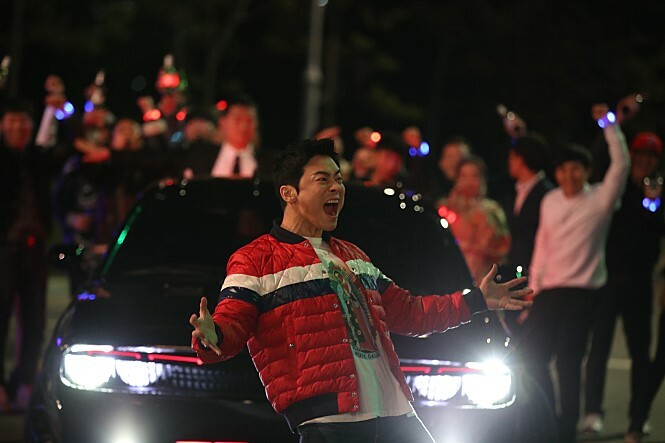 As the first month of 2019 is drawing to a close, and just in time for the Lunar New Year holiday, Korean movie fans were given one last film of January titled <Hit-and-Run Squad>. A movie concept unseen in Korean cinema, an amazing cast, and an intriguing trailer combines for a great movie, right? Well, not really… Maybe it’s because I had high expectations of the film, maybe due to the immense promotions it had, possibly because I hadn’t seen a film like this produced in Korea, or maybe (probably) a combination of all of the above, but I ultimately came out of the theater disappointed. Allow me to explain. 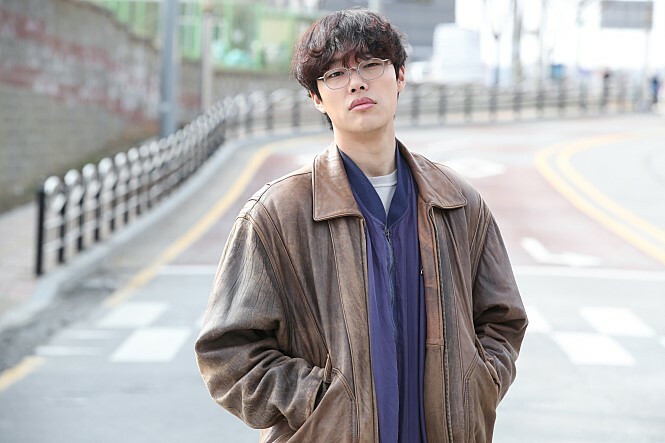 Directed by Han Jun-Hee, who also directed <Coinlocker Girl>, <Hit-and-Run Squad> had the best cast members of a Korean movie in 2019 thus far. With Gong Hyo-Jin, Ryu Jun-Yul, and Jo Jung-Suk as the main cast members, and just as an amazing supporting cast team composed of Yum Jung-Ah, Lee Sung-Min, Key of Shinee, and more, the cast members alone draws you into watching this film. Quite a few of the followers on the EonTalk Facebook, Insta, and YouTube agreed with me in my opinion that this looked like a Korean version of <Fast and Furious>. A movie about crime, action, and most importantly, car races; a recipe for a great film, if done right. Eun Si-Yun (Gong Hyo-Jin) is part of an elite police organization. Along with Chief Yoon (Yum Jung-Ah), they started investigating the ex-F1 racer and now businessman Jung Jae-Chul (Jo Jung-Suk). However, as they got closer and closer to arresting Jung Jae-Chul, an incident ensues and the team is separated. Now, Eun Si-Yun is sent to the ‘Hit-and-Run Squad.’ Her new team consists of just two people: The new Chief, Mrs. Woo (Jun Hye-Jin) and the car fanatic Suh Min-Jae (Ryu Jun-Yul). Working on a hit-and-run case, Eun Si-Yun finds correlations between the case and Jung Jae-Chul. The Hit-and-Run Squad’s team-play begins, as they go after the same target. First off, <Hit-and-Run Squad> had an incredible cast, both main and supporting. Key of Shinee had a supporting role in this, boasting bright red hair and fairly decent acting. Also, Lee Sung-Min had a supporting part in this film. If you’re a fan of Korean movies, I’m sure you’re aware of and acknowledge the greatness that is Lee Sung-Min. His performances in <The Spy Gone North> and <The Witness> were outstanding, and he does not disappoint in <Hit-and-Run Squad> either. Another supporting member was Yum Jung-Ah. Her acting was different than from her role in the massively popular K-drama that’s taking over Korea by storm, <Sky Castle>. It was good to see another side and her range in talent. Speaking of seeing another side, Jo Jung-Suk, one of three main cast members, showcased a very different side of himself as well. It was very different from his role in <Drug King>. 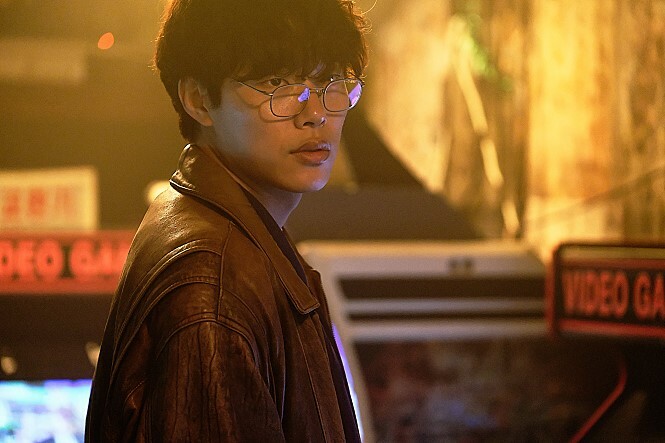 Jo Jung-Suk plays a very mysterious and strange character named Jung Jae-Chul, who has a stutter and twitches every now and then. The character was so odd that I couldn’t decide if Jo Jung-Suk’s performance was good or not. It seemed awkward at times, but also good in other scenes. I’ll just go with good though, since it’s a new side of him that we hadn’t seen before. Gong Hyo-Jin was decent; her acting was pretty good, but nothing special from her other performances. It’s Ryu Jun-Yul that really stole the show, though. My respect for him grew in <Believer>, and once more here. His character wasn’t the best, and definitely needed more development. But working with what he had, Ryu Jun-Yul gave a phenomenal performance. One aspect of the film that I was looking forward to was the car scenes. As mentioned above, a lot of people (myself included) thought <Hit-and-Run Squad> would be the Korean equivalent of <Fast and Furious>. Unfortunately, the car races weren’t <Fast and Furious> level. But it was definitely something unseen in Korean movies. And I guess it’s ridiculous to expect the level of quality as <Fast and Furious>, due to the budget differences. Taking this into consideration, no the car race scenes weren’t the best, but they were acceptable. Also, the effects (such as car crashes) and cinematography were pretty good, considering how difficult it must’ve been to film the race scenes. Moreover, the movie had fairly good comedy. It was funny when it needed to be, and wasn’t too over-the-top with its humor. The story was bad. Just plain bad. It tried too hard in trying to be interesting, adding unnecessary and stale twists that ultimately failed to dazzle. Furthermore, it tried way too hard to be sad. If you’ve read my past reviews, you know that I hate it when movies try to force the tears out of its audience. <Hit-and-Run Squad> had melancholy scenes that were meant to be sad, but wasn’t at all. And on top of that, it gets extremely cringey out of nowhere. There were too many elements that were totally unnecessary. As the movie progresses, it gets slow and dull near the middle. It was good for like the first hour, and then once it gets slow, you think it should end then and there. But you know there’s still a lot left… You know the movie isn’t great when you want it to hurry up and end. In addition, there were some plot holes left in the story. For instance, how does an ex-convict (Ryu Jun-Yul) become a cop, especially in a country that has extremely strict standards in becoming a police officer like Korea? Also, the level of unrealistic factors was very high. Take for example Ryu Jun-Yul’s character jumping into a car coming straight at him, and he’s still left unharmed without a scratch. Or when Ryu Jun-Yul and Jo Jung-Suk get into a huge, huge crash but are still alive. Overall, the story was just very unrealistic and would never happen in real life. The movie ended with an extra scene, kind of like what Marvel does. It showed insight onto a possible 2nd film, starring Kim Ko-Eun. However, despite me liking Kim Ko-Eun, I sincerely hope they do not make a sequel. This was bad enough, no need to waste even more talent. Despite the horrible story, the acting was decent and there were elements that weren’t commonly seen in Korean cinema, i.e. car races. As mentioned before, it’s good for like the first hour, when there’s mystery in the story because you don’t know what’s going on. But once you start figuring it out, it’s not very good. You have 3 of arguably the most prominent actors in Korea. Why waste that talent on something like this? It was overall not as fast-paced as I thought it’d be, and felt like 2 different movies cut into a first and second half.